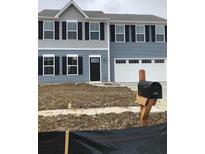 Find Greenwood, IN New Homes for sale. View Photos, Maps and MLS Data Now! Upstairs you will love the spacious master suite with large shower, double sinks and large walk in closet! MLS#21633368. HMS Real Estate, LLC. Greenwood Station - Also has 3 other bedrooms and a laundry room convenient to all the bedrooms. MLS#21632543. 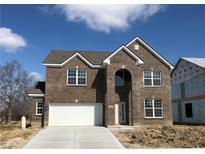 M/I Homes of Indiana, L.P..
Stones Bay - ADA compliant home with 10 foot extension on the depth of garage. MLS#21633153. Cottingham Realty, Appraisal. Stones Bay - Enjoy the screen patio, overlooking pond with fountain. 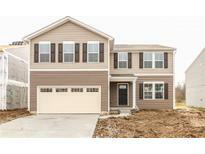 MLS#21633182. Cottingham Realty, Appraisal. Homecomig At University - Amenities include community pool, clubhouse, playground, basketball court, dog park, & walking trails. Close to I-65! MLS#21632274. CENTURY 21 Scheetz. 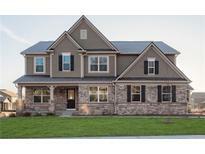 Come view this beautiful home you will want to call home! MLS#21631290. Nest Real Estate. Preserve At South Lake - Photos shown may be an artist rendering, model home, or of the same model but located in a different Lennar subdivision due to current construction stage. MLS#21626944. CENTURY 21 Scheetz. Homecomig At University - Neighborhood has pool, walking trails and playground, close to Interstate, schools and shopping. MLS#21628435. Bina Real Estate. Stop by and see this one! MLS#21626979. HMS Real Estate, LLC. Lawn care and snow removal are a thing of the past in this popular low maintenance community. MLS#21626993. HMS Real Estate, LLC. Upgraded cabinets, flooring, appliances and more. This is a must see. MLS#21626437. HMS Real Estate, LLC. One of the larger lots in the community. MLS#21623227. Highgarden Real Estate. Preserve At South Lake - Photos shown may be an artist rendering, model home, or of the same model due to current construction stage. MLS#21625563. CENTURY 21 Scheetz. Shepherds Grove - MLS#21623107. Indiana Realty Pros, Inc..
Calvert Farms - Full walk-out basement with finished large Recreation, 4th bedroom & bath plus additional unfinished SF for storage or future additional bedrooms, theater, exercise etc. Owner is broker. MLS#21619685. Spoon Real Estate, LLC. Preserve At South Lake - Photos shown may be an artist rendering, model home, or of the same model. MLS#21622728. CENTURY 21 Scheetz. Preserve At South Lake - Photos shown may be an artist rendering, model home, or of the same model due to current construction stage. MLS#21622182. CENTURY 21 Scheetz. Other floor plans available to build on property. MLS#21622078. Carpenter, REALTORS®. Stunning new Stanton Grande Vista plan in beautiful Brighton Estates featuring all the quality and craftsmanship you've come to expect from Fischer Homes MLS#21622143. HMS Real Estate, LLC. Stylish new Everett Coastal Classic plan by Fischer Homes in beautiful Brighton Estates featuring all the luxury, style and craftsmanship you've come to expect from Fischer Homes. MLS#21622115. HMS Real Estate, LLC. Don’t miss out. Schedule your tour soon. MLS#21618890. Nest Real Estate. Preserve At South Lake - The second level features a spacious owner’s suite with a large bathroom with shower, dual sink vanity, private water closet and large owner’s closet along with 4 bedrooms, a loft space for casual family gatherings and a hall bathroom. Come tour the Brunswick today. MLS#21618592. CENTURY 21 Scheetz. Stylish new Everett Coastal Classic plan by Fischer Homes in beautiful Brighton Estates featuring all the luxury, style and craftsmanship you've come to expect from Fischer Homes. MLS#21617785. HMS Real Estate, LLC. This home is to-be-built & photos may be of a similar model with some upgraded options. MLS#21615414. Berkshire Hathaway Home. Community convenient to all Greenwood has to offer including shopping, dining, parks, interstates and more! MLS#21615051. HMS Real Estate, LLC.